Here are two easy recipes for a refreshing treat. 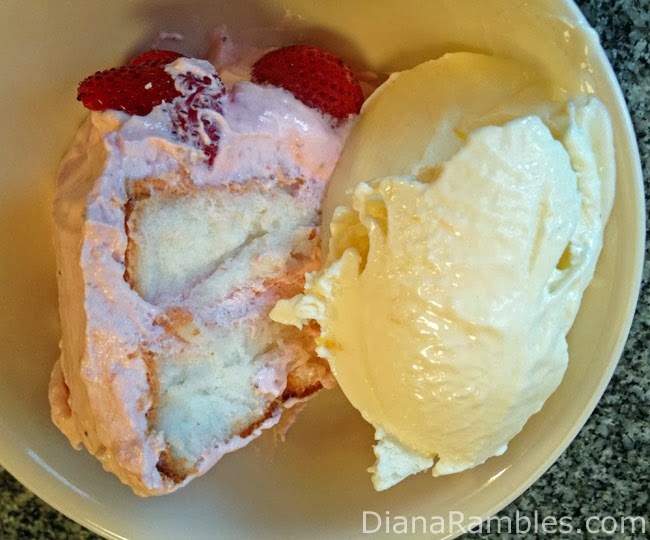 The ice cream is a no churn recipe and the cake uses a store bought angel food cake. 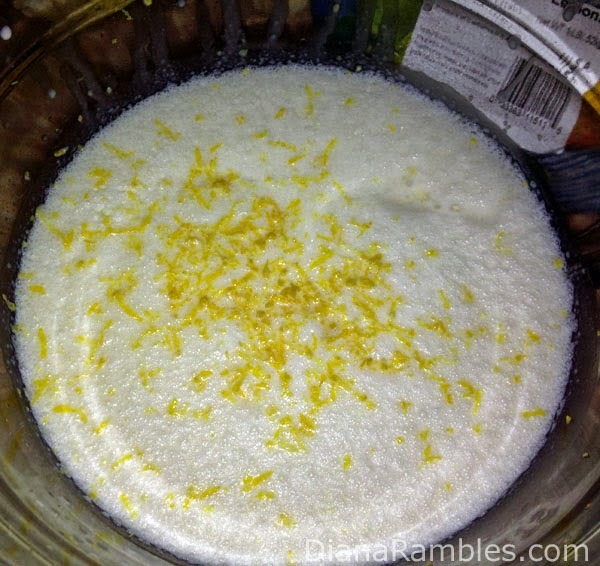 Mix the ingredients in a bowl and mix with an electric mix until it thickens. 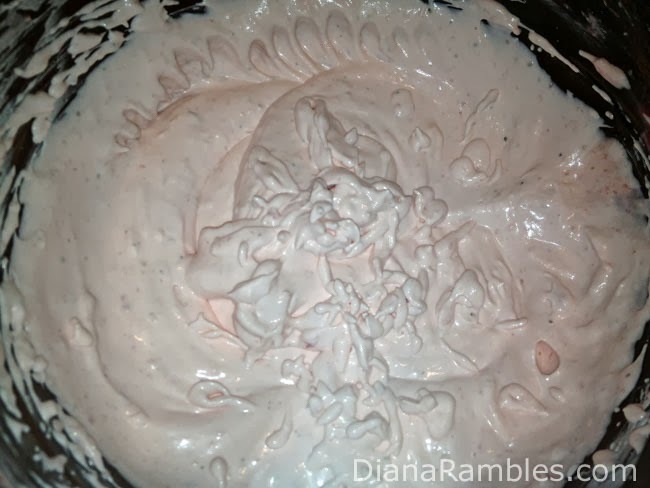 Put a lid on the container and put into the freezer until it hardens. 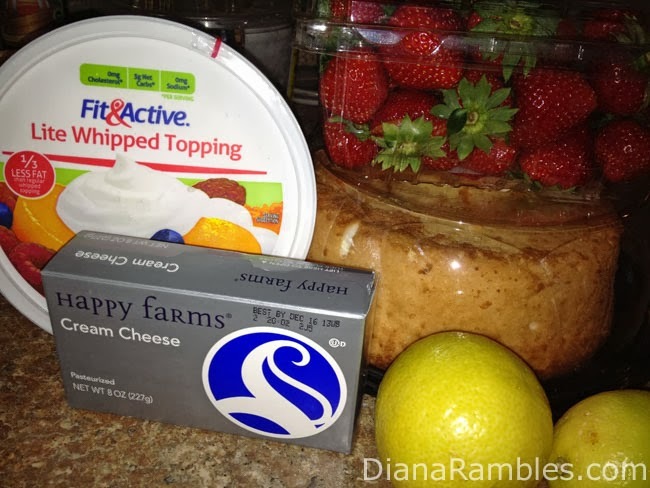 Mix the whipped topping & softened cream cheese together until smooth. Add blended strawberries (I took a handful of strawberries and blended them up in the Magic Bullet), juice from one lemon, and lemon zest. Mix until all are well blended. 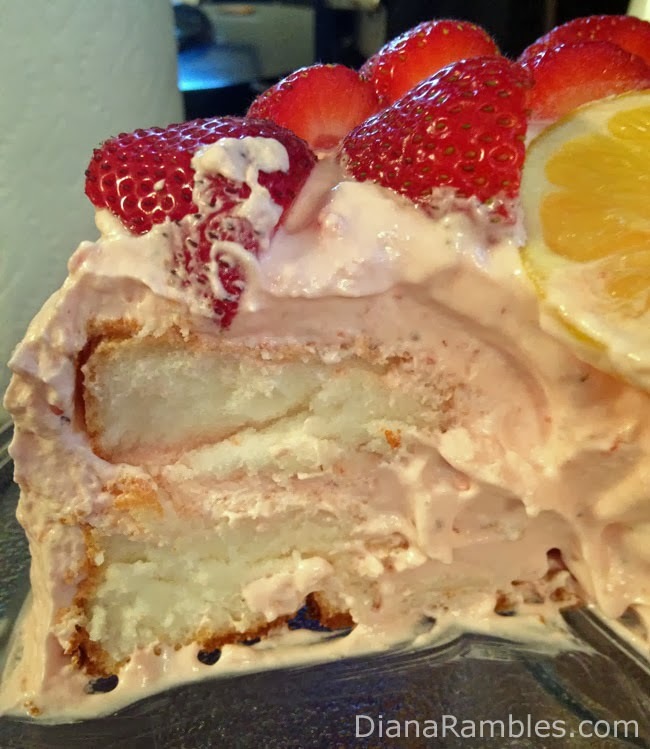 Cut the angel food cake in half lengthwise. Smear some of the strawberry cream in between layers. 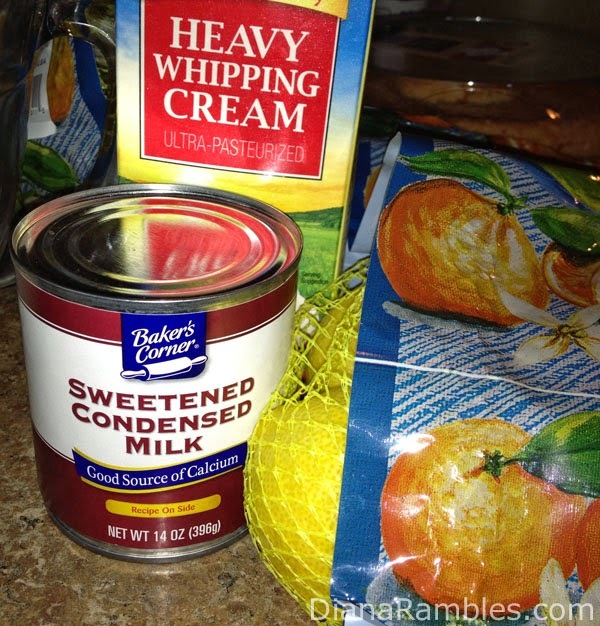 Frost the entire thing with the cream. I ended up filling the middle hole full of the cream. 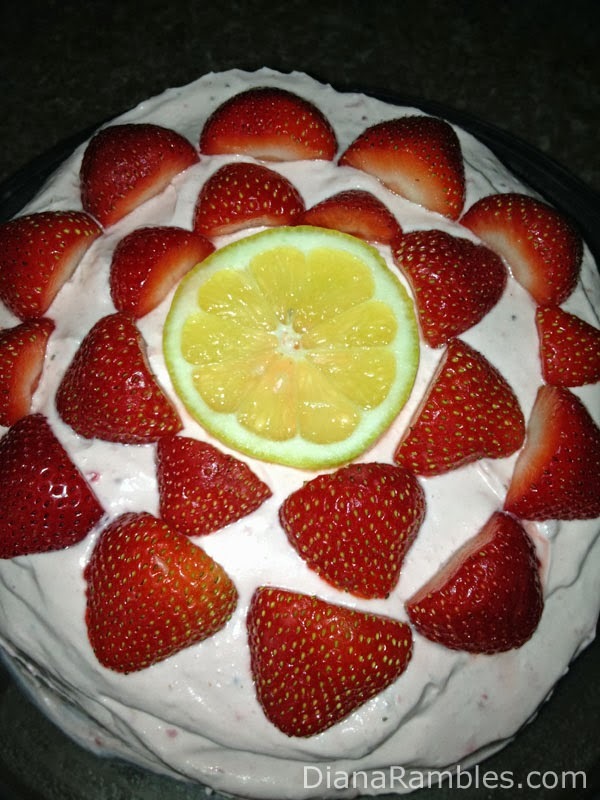 Top with cut strawberries & lemons. Chill in refrigerator until serving. It looked so good when we cut it. Pair the ice cream & cake together for the perfect dessert! That looks so moist and delicious! I hopped over from the New-Nostalgia link up! I just had to comment on your delicious looking cake. I want to give this a try, but will have to substitute raspberries for strawberries because the spouse is allergic to strawberries. Thanks for sharing! We get billions of blackberries- I wonder if they would work. I think I'd prefer the strawberries though for sure! Yum! This looks really good!! This cake is just heavenly! Have a great weekend and thank you so much for sharing with Full Plate Thursday. wow Diana this looks so delicious!! I am pinning it! This is lovely and light sounding. Thanks for sharing at What'd You Do This Weekend.